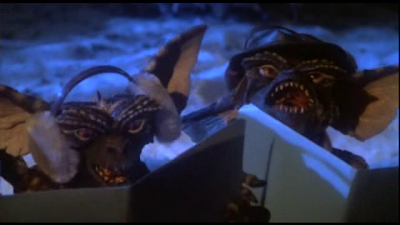 In fact, I used to have a bunch of Gremlins related merchandise growing up. I used to have the Gremlins storybook, all five of the Hardee's Gremlins book and record sets, and the Gremlins read-along book and record. 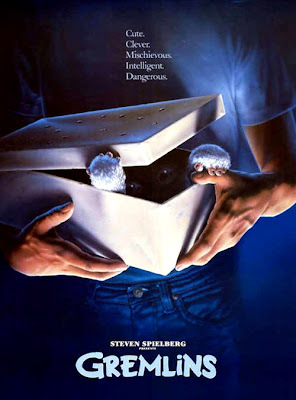 I had a set of Gremlins that were those things you put in water to make them grow (now that I think about it, that works on so many levels). I even had a stuffed Gizmo. I wanted a real one for Christmas, just like how Billy got his. 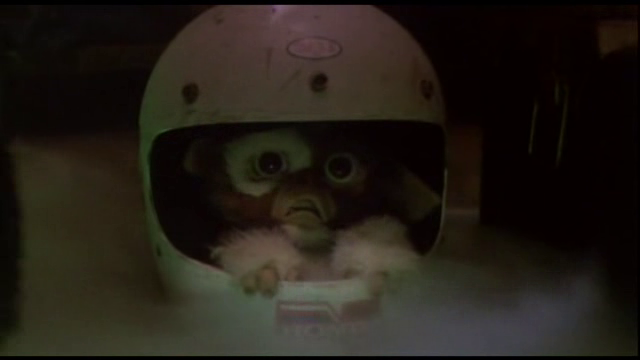 I knew the rules, and I knew I could have done a better job of keeping poor Gizmo safe. Actually, I still have that stuffed Gizmo. Only, his plastic eyes and nose are gone, lost to the temper tantrum of a 10 year old waiting to get on an airplane to go home. See, the flight kept getting delayed, and I was sick of sitting by myself in an airport for three hours. So, yeah, I loved this movie. Still do, in fact. The scene where they are all watching Snow White is one of my favorite parts. That, and when they get Stripe into the department store fountain to kill him. The way he melts is very gruesome but so cool. It's like a green version of the Nazi in Raiders of the Lost Ark. And when they kill the lady on her electric chair lift! So great! 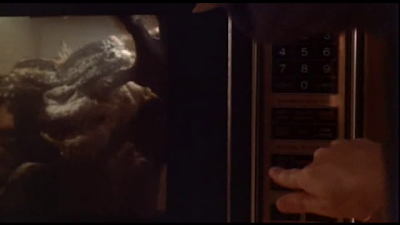 And who could forget the microwave scene? What's the setting for Gremlin? And I'll admit it, I like the second movie too. It's a huge departure from the first, but I'll be damned if the scene with all of the Gremlins melting in the lobby at the end isn't cool as hell.